Here’s my reviews for this book! I enjoyed it, and I was honestly sad that this arc came to an end. This arc had to be my favorite. 1) because we saw new cats and how the Clans created. 2) I love history, and this arc was the Clans’ history. 3) it had GREAT character development and relationships. My top favorite cats are: Holly, Moth Flight, Wind Runner, Dust Muzzle, Turtle Tail, Gray Wing, River Ripple and Night, Cloud Spots, Dappled Pelt, Clear Sky, Falling Feather, Shaded Moss, Milkweed, Thunder, and Tall Shadow. My least favorite Cat is Quick Water…. I don’t know why, but I never liked her. She complained too much in TST… Idk, I just don’t like her. One of my favorite minor cats in this arc is Swift. She only appeared once, and after that, she disappeared. I loved her, and I’m still watching out for her in MFV. I liked how this arc showed us different cats, like the Mountain Cats, Cats of the Park, and the new rogues/loners. Even some kittypets. I kinda wished Quiet Rain lived, but I liked how her death resolved a few things.. If she lived, I think she would’ve River Ripple’s group or Thunder’s. I wished Bumble lived. Her death was so sad! She would’ve been Bumble Wing to me. My favorite death in this arc was Quiet Rains, or Gray Wing’s. I literally had tears at both deaths. Oh! Poor Emberkit’s and Morning Whisker’s. And Petals…. Ok, I’m done. And I love the new rogues and their names. I’m really excited to see new names in MFV from the older cats. Here’s what I think their names should be. I also think these cats deserve names. 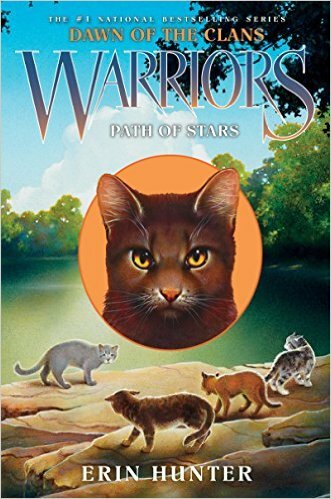 Did Dustpelt ever make up with Ravenpaw before Dawn? Hey Kate, were Gray Wing’s kits thick furred or short furred? I don’t think it was mentioned but Black Ear may have been long furred. I hope the others are too! Only Black Ear was thick furred. Silver Stripe and White Tail are short furred. White Tail is a dark gray tom-kit with white patches and amber eyes, Silver Stripe is a pale gray tabby she-kit with blue eyes. Black Ear is a black and white patched tom-kit with amber eyes. Also their eye colors please? Is the new Cover for DOTC out yet? Is the cover for DOTC six out yet? Awww alright. Btw was Blossomfall mentoring Hollytuft an error, or did Cloudtail retire/die?